How would you rate your experience with Schwinn Bicycles ? Schwinn Bicycle Company was originally founded as Arnold, Schwinn and Company in Chicago, Illinois, in 1895 by Ignaz Schwinn and financial backer Fredrick Arnold. Before the automobile, bicycles were common and Chicago was the heart of bicycle manufacturing. By the early 1900’s, however, bicycles fell out of fashion and sales declined to about 25% of their previous high. 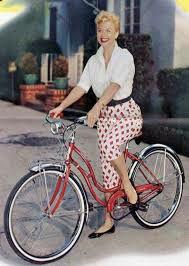 Schwinn survived by acquiring competitors and building a state of the art manufacturing facility. In 1954, the company introduced the “Corvette” bicycle, a style that was so popular, it continued to be made for the next 10 years. In 1963, however, sales for the Corvette hit rock bottom when the Sting Ray model was introduced. The Sting Ray remained the #1 selling bicycle for the next 20 years, however, tastes were changing and people were more interested in streamlined bicycles and, later, mountain bikes. Schwinn encountered serious problems including unionization of workers, steep inflation, and cheap imports from other countries. In September 2001, Schwinn and GT were sold at a bankruptcy auction to Pacific Cycle. The company currently sells two styles of bicycles under different names through a variety of retailers, such as Walmart and Target. Schwinn hopes to win over new customers with the introduction of a new electric bicycle. Company headquarters are located in Madison, Wisconsin. Question 1: What is the phone number for Schwinn Bicycles? Answer 1: The phone number for Schwinn Bicycles is (608) 268-2468. Question 2: Who is the CEO of Schwinn Bicycles? Answer 2: The CEO of Schwinn Bicycles is Edward Schwinn. 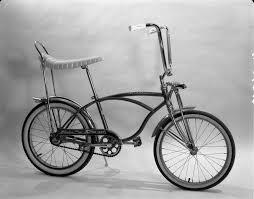 Question 3: Who founded Schwinn Bicycles? Answer 3: Schwinn Bicycles was founded by Ignaz Schwinn in 1895. 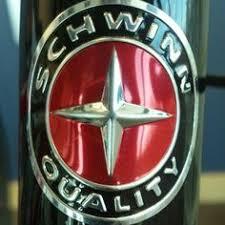 Want to make sure Schwinn Bicycles sees your comment or complaint?